solo as a gadget / tinker, I understand that the info in this guide will not transfer to all types of class in mythos but ill note some tips for other builds at the bottom. What is crystal defence ? Crystal defence is a mini game that involves protecting a crystal from destruction against waves of monsters. At what level can I take part in crystal defence, and where do I find this mini game ? Any one can take part in this mini game when they reach level 55, and its found in land of the dead at the north end. 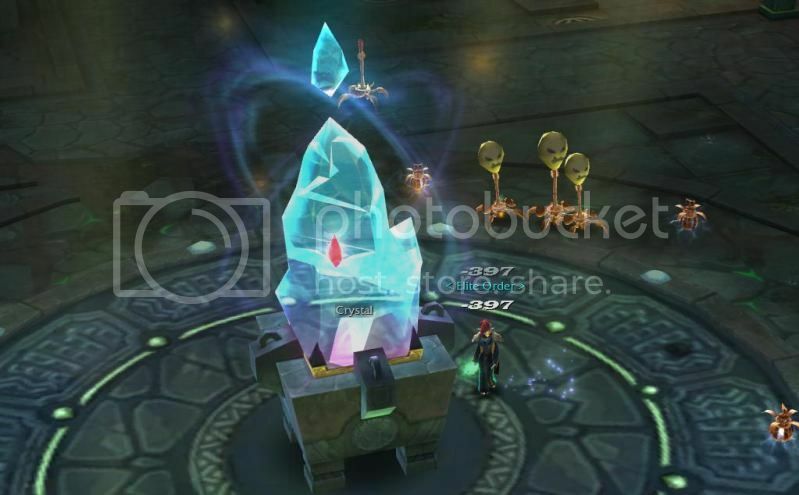 When you enter crystal defence you will want to get your bauble in place straight away to prevent the crystal taking dmg. Toss your bauble in the middle of two lanes and move back to the crystal, and prepare to set up your flame sentrys. 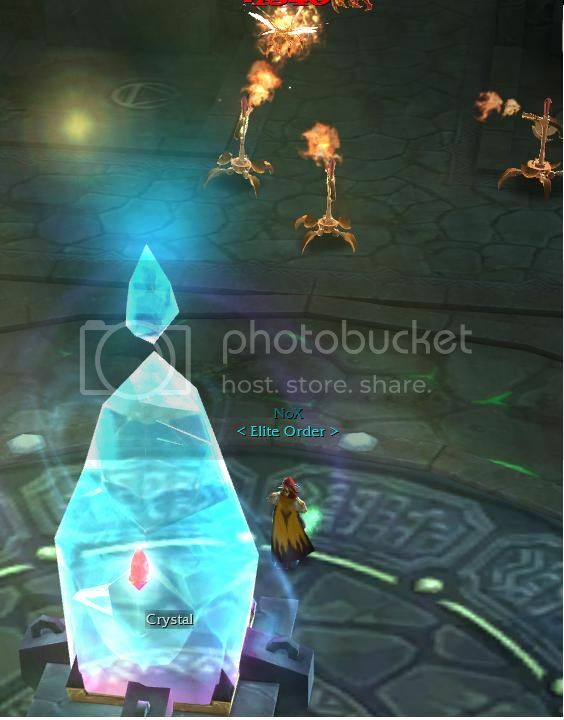 flame sentrys on the opposite lanes to where your bauble is placed as shown below. lane and your bauble taking dmg for the opposite two lanes. 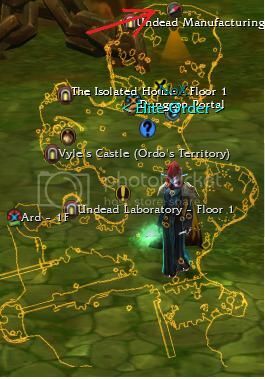 use MMO view and rotate the camera in a 360 degree manor. I normally toss lightning turrets next to the bauble or close to the spawn point where the monsters are coming from. of him so he gives the bauble dmg and not the cyrstal. mana potions the last thing you want is to run out of mana pool. I norm take in about 80 mana pots just so I do not run out. How do I view the crystal defence top score list ? Push the button "U" on your keyboard to bring up the PvP top rank list and click on the Text that says "over all ranking"
It might take a couple of mins for the defence list to refresh your score but it will apear as shown above. The defence list is not supposed to preview like the picture above and I hope in time t3fun will get around to fixing it. Its supposed to show how many rounds / waves / time you survived. Ok so the guide was made mainly for tinkers but ill note some tips for other class'es. Spawn bloodlings and imps on three / four sides of the crystal while you take one side to your self. so that every build on mythos will be able to have fun and last long in this great mini game. Another nice guide, thank you .